Heather was awarded an Order of Australia Medal in the 2015 Queen’s Birthday Honours List for service to early childhood education. Heather works as a trainer and consultant throughout Australia, assisting educators on their professional learning journey. She believes that the National Quality Agenda is the most significant development for early childhood education and care in decades and feels privileged to assist educators in their understanding of the requirements of the NQS and the Frameworks and to identify quality improvements. 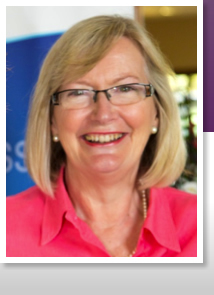 Heather delivers workshops and key note addresses at conferences in many parts of Australia. She is contracted by individual services, local government and the Professional Support Coordinators in various states and territories as part of the Inclusion and Professional Support Program funded by the Department of Education. Writer for Early Childhood Australia’s NQS PLP (Professional Learning Program) e-Newsletters, moderator for the on-line forum and Facebook, writer and presenter for ‘Documentation and Planning’ – Talking About Practice video.